My name is Kahealani Kamahele. I was born and raised in Honolulu, Hawaii. I attended Star of the Sea School in the wai'alae district of O'ahu. Upon graduation I moved to Southern California to attend college. I have my Masters degree in Organizational Leadership from Chapman University and I am also a Certified Essential Life Coach practicing in the south bay. 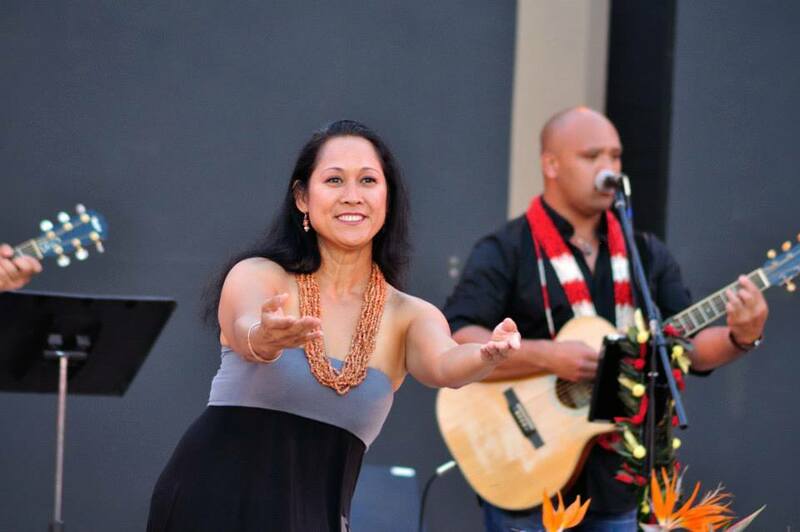 I currently teach Dance of Hawaii at Loyola Marymount University. In the past, I have taught hula at UCLA for the UCLA Hawaii Club (Hui 'o Imiloa) for 10 years and also owned my own hula school together with my ex-husband for 12 years. I have participated in various festivals over the past 12 years such as the Lotus Festival, The LA Festival, The Pacific Island Festival, Ho'olaule'a Northridge, San Diego and Alondra Park. I started my own halau in 2007 in Rolling Hills, Ca and currently teach in Gardena and Torrance. Before teaching hula I was also a student. As a child I learned hula in Kapahulu under the direction of Aunty Pauline Kekauhuna. After moving to California in 1985, I joined Halau Hula Nameakanu O Laka O Hawaii under the direction of Kumu Hula Mohala Reese. In 1988, I formed my own school, Kaulana Ka Hale Kula o Na Pua o Ka 'Aina together with my husband of 12 years where I danced and taught as well. In the year 2000, I returned to Halau Hula Nameakanu o Laka o Hawaii where I studied for an additional two years. After back surgery in 2007, I decided to begin teaching hula in Rolling Hills California under the name Halau O Kahealani. That name was really difficult for people to remember so I adpoted the name PVHula. In 2014, I have returned as a student to Halau Hula Nameakanu O Laka O Hawaii to be trained and graduate ('uniki) as a kumu hula. Kumu Hula Aunty Mohala Reese has graduated as Kumu Hula under Aunty Mae Kamamalu Klein. Since then Aunty Mohala has graduated numerous students as Kumu Hula. Aunty Mohala is not only my Kumu but also my biological aunty. She and my mother are sisters. 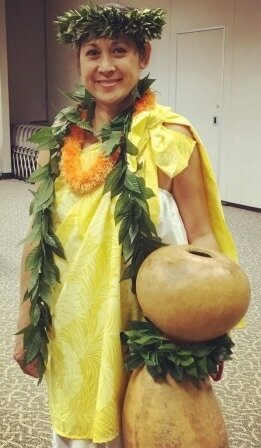 It has been a wonderful journey to be a part of Halau Hula Nameakanu for 30+ years. My gradmother is Ann McCabe from Kaneohe. She had her own halau here in California before moving back home to O'ahu. She encouraged me from a young age to begin dancing and learning hula. She is the one that sent me to take hula from Aunty Pauline Kekauhuna while I was in elementary school. From my grandmother I have a family lineage of hula dancers and kumu hula. I am related to the Padakens, Wongs and the Rowan families.. This would includes Ann's (McCabe) two sisters, Pauline (McCabe) Padaken & Mary (McCabe) Wong; her niece, Aloha (Wong) Dalire, and nephew, Kawaikapuokalani Hewett. Continuing aunty Aloha's hula legacy are her daughters, Kapua, Ka'ui and Keola. The Kamahele side of my family are the entertainers, musicians and dancers. Sonny Kamahele Sr, Iwalani Kamahele, King Kamahele, Francis Kamahele, and Ka'ula Kamahele. My second cousin Hoku (McCabe) Zuttermeister plays music with my dads brother Solomon (King) Kamahele III. Hula has always been in my family and in my blood. This means it's my kuleana to perpetuate my culture with those that wish to learn.